A FEW YEARS AGO the media was awash with stories about how insects were going to make their way onto the plates of households across the Western world. 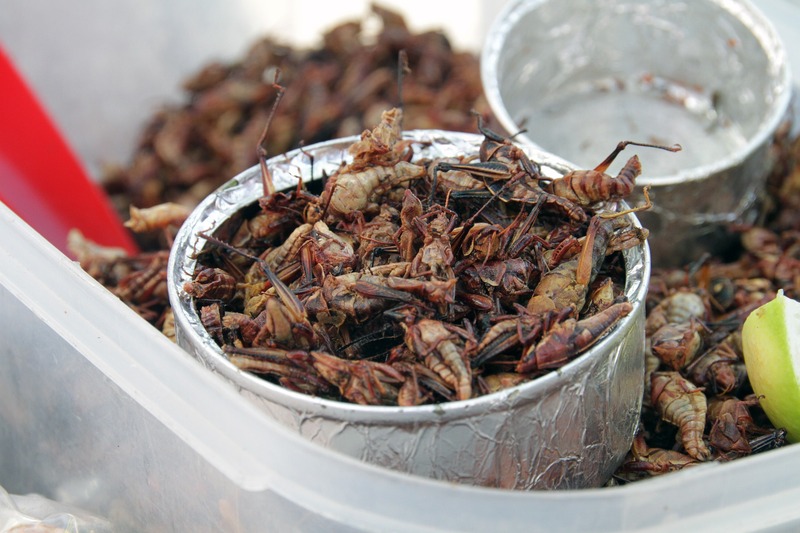 We were all going to be snacking on crunchy fried crickets and chowing down on stir-fried mealworms. This mass adoption of insect eating hasn’t yet come to pass, but the road to acceptance is gradual and the sector is growing. There are very good reasons why numerous experts believe entomophagy is on track to become global, and why investors are banking on it. In places like Europe and North America, insect eating is almost taboo and most people feel revulsion towards the idea of consuming insects as food. Yet this is just a cultural bias. In large parts of the world eating insects is not only considered completely normal but even counts as the biggest source of dietary protein. It is estimated that some two billion people consume insects as food worldwide, and the number of insect species known to be eaten is around 1,000. The size of the global edible insects market is growing. By 2024 the projected value is estimated to reach $700m, and considering the market value in 2017 was estimated at $295 million, that is significant growth. One of the main reasons for this increase in size and the increased consumption is quite simple – necessity. The earth’s population is continually growing and food scarcity is going to become a huge problem. By 2050 we will have 9 billions mouths to feed, with more imminent resource challenges to face. Our current dietary needs are met by livestock and agriculture. These are both land and water intensive practices, and the rising demand for food will place an even more intense demand on these limited resources. By 2025 at least 1.8 million people will be living in areas that have an inadequate freshwaters supply and two-thirds of the global population will be living in areas under pressure of depleting water resources. Insects as a source of food can be a key to solve these problems. Each gram of protein derived from insects requires a fraction of the water and land needed to produce a gram of protein from cows, pigs or chickens. Cows are the most resource hungry, with 254 m2 of land needed per gram of protein versus the meagre 18 m2 needed for insects to produce the same. The land needed by pigs is 63 m2 and for chicken it is 51 m2. This is better but still considerably more than that of insects. Beef also needs 254 litres of water per gram of protein, compared to just 23 litres for insects. Again, things are better for chicken (34 litres) and pigs (57 litres) but insects come out on top yet again. This is also much better when compared to avocados, which need around 160 litres of water for each gram of protein. The feed conversion rate for insects is also stellar, with 1.7kg of feed producing 1 kg of crickets, compared to the 10 kg of feed needed for 1kg of beef. It’s clear that insects are a much more efficient way of meeting the dietary needs of humans. Insects don’t only use much less resources than other sources of protein, they also produce a fraction of the levels of greenhouse gases. Beef is well known to be a major contributor of greenhouse gas emissions but the difference between it and insects is wild. Insects release a mere 2 kg of greenhouse gases per kg of live weight, whereas cows produce 2,850 kg per kg of live weight. That is 1425% more greenhouse gas. The unfortunate fact is that most people don’t take into account or care about the environmental impact of the food that they eat, if they did everyone would be vegan. Of course, more people are becoming conscious and aware of the impact of their dietary choices and veganism is on the rise, but it’s still short of the huge shift that is needed. Meat is seen as an aspirational and luxury foodstuff and a sign of status. However, there is another major way in which insects can have a big positive impact, and that’s as a source of animal feed. Using insects as animal feed more indirect way of them forming part of the food chain, and it’s a fast-growing area. If you look at Crunchbase, some of the startups that are farming insects for animal feed are also the ones that are in receipt of the highest levels of funding in the insect-food sector. Take Ynsect for example, to date it has received $24.5 million in investment to help produce insects to use for aquaculture and as pet food. Similar companies such as InnovaFeed and Enterra Feed have received $15 million and $10 million respectively. These companies are all in the business of scaling their insect farms to industrial levels. Soon, the majority of the fish you eat could all be insect-fed. It’s a more sustainable and cleaner practice. So much so that Ynsect won the People’s Choice award at 2014 at the Cleantech Open Global Forum in San Francisco. At the other end of the spectrum are Livin Farms. Rather than being involved in huge industrial sized insect farms, Livin Farms have created the first ever home farm for producing edible insects. The idea is that you can use their farms in your own home to regularly produce insects for your own consumption. Founder Katharina Unger is an excellent spokesperson for the practice of eating insects, and her passion is contagious. Watch her Tedx Talk and you too will feel curious about snacking on insects. There are a huge number of companies with a similar aim to Livin Farms. That is, to make eating insects commonplace and palatable for a largely Western market. One of the best methods for this is to use insects as an ingredient in foodstuffs rather than just as an insect alone. 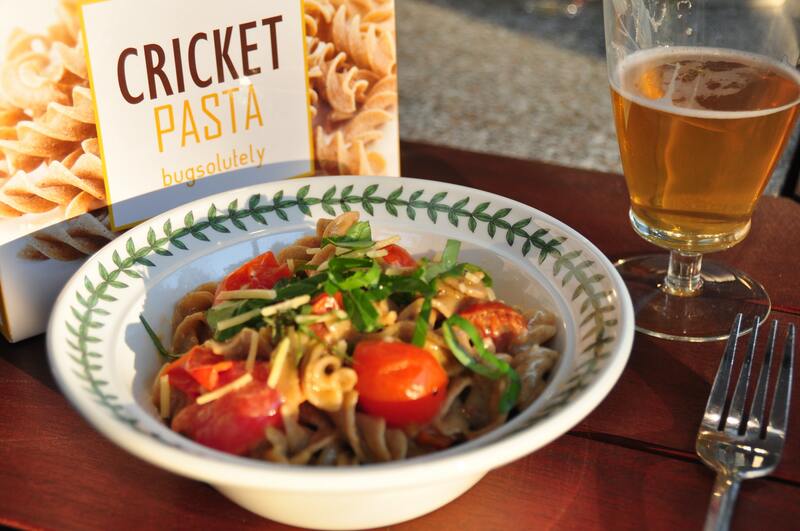 For example, cricket pasta made by Bugsolutely and protein cricket chips from Chirps. This surreptitious way of sneaking insects into the diet might be the thin end of the edge that is needed to take insect eating into the mainstream. Proponents of eating insects as food often cite lobster as the example of how eating habits can change over time. At one stage, lobsters were considered the cockroaches of the sea, yet know they are considered a delicacy. Some chefs have already been using insects as an ingredient on their menus, so it’s not a far fetched idea. Whether we can convert the Western world to the wonders if eating insects en masse remains to be seen, but the increase in financial investment, the growing number of uses for insects and the urgency of food security all mean insects will be a key part of our future diets. Perhaps it’s time for us to embrace insects as a solution and stop seeing them as a problem.